Pineapple belongs to the category of citric foods and it is acidic in nature. You must have noticed that pineapple sometimes hurts our tongue due to its strong flavor same like a lemon which is also acidic in nature. I would explain the acidic nature of pineapple through a number of facts. Pineapple is one of the popular fruits in the world because it is widely used in many recipes such as cakes, drinks, smoothies, shakes, salsa and other yummy recipes. Main producers of Pineapple are Brazil, Cost Rica and Thailand. It is harvested in the months of May, June and July therefore it can be called as summer fruit. However, with modern farming techniques pineapple is harvested throughout the year. Is Pineapple Acidic or Basic? When it comes to acidic and basic nature of anything then you have to recall your school chemistry class in which you studied about basic concepts of acid and base and also about the pH scale which ranges from 1 to 14. According to the pH scale, anything less than 7 is acidic and greater than 7 is basic while pH 7 is neutral. The pH of pineapple ranges from 3 to 4 and it is more acidic. The acidity of food does not depend on the pH range but it depends on how it responds in the stomach during the process of digestion. When the process of digestion occurs, acids are secreted by stomach in order to break down the food. Therefore, pH level of stomach ranges from 2 to 3 and it is highly acidic but it is the requirement of digestion. However, the acidic balance of stomach gets disturbed when we adopt unhealthy lifestyle and start consuming foods such as carbonated drinks, pizzas, burgers, pastries etc. In that case we go through the problem of acid reflux due to increase in the acid of stomach. Although citrus fruits are acidic in nature but they have alkalizing effect on the body. It should be kept in mind that initial acidity of any food does not matter when it has alkalizing effect on the body. Actually there are minerals which are important in any food. Pineapple and lemon are rich in vitamin C that ease the process of digestion and reduce stress. Some people believe that pineapple triggers acid reflux so it varies from person to person. 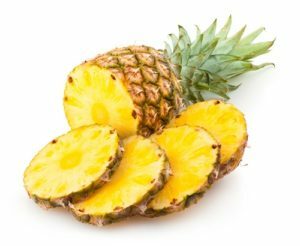 Although pineapple is acidic in nature but it has alkalizing effect on the body due to the presence of bromelain which has alkaline affect and anti-inflammatory properties. You have to note down the list of foods you consume every time when you suffer from acid reflux because it may not be due to pineapple. 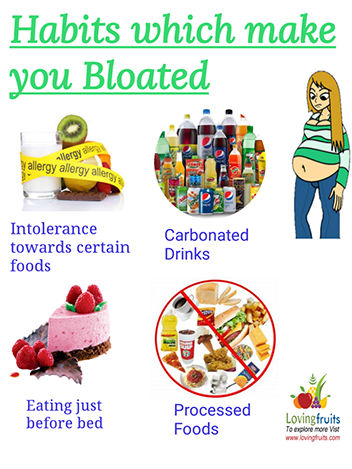 It can be due to other foods you consumed. 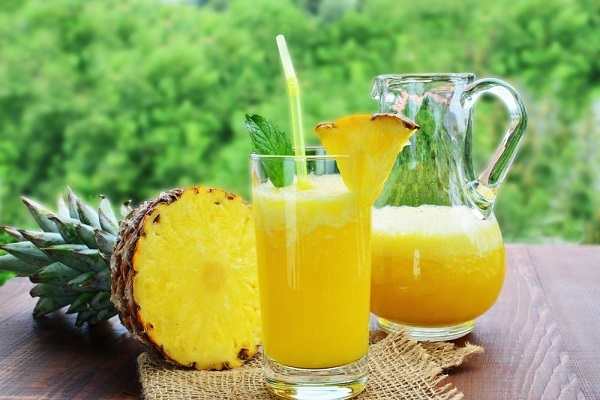 Fresh pineapple is less likely to cause acidity as compared to pineapple juice because the juice has low level of bromelain than fresh pineapple. However, in case of acid reflux, you should not consume pineapple or its juice for safe side. It’s better to consult your family doctor. Pineapple being acidic doesn’t mean that we can ditch this fruit. It helps the body to achieve alkaline state. 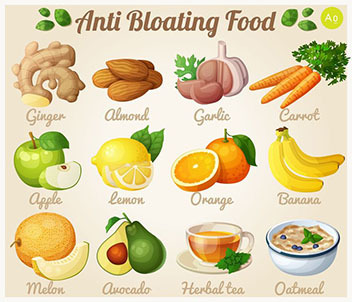 It has great number of benefits such as it helps to ease digestion, constipation and bloating. Pineapple is vitamin C rich food that helps to boost the immune system of body. It contains bromelain that has anti-inflammatory properties and reduces swelling. As it is high in fiber content so it is great food for the relief of constipation. Anything natural is always useful so use grilled pineapple in salads, breakfast, snacks or smoothies. You will feel healthy and glowing.